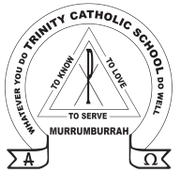 At Trinity Catholic School communication is vital between the home and the school. There are various ways that we endeavour to inform parents of what is happening, upcoming events and how their children are progressing at school. Kindergarten to Year 3 take home a Diary Sheet in their Reading Folders each Monday. This includes a weekly calendar and space for teachers and parents to write questions or comments. Years 4 – 6 have a school diary which is purchased from the School office at the beginning of the year. Students have the responsibility of writing the events and homework of the week in their diaries. The teachers then check and sign the diaries each day. At the beginning of Term 1 each classroom hosts a parent information night. This is an opportunity for parents to meet new teachers and covers the outline of the curriculum, homework expectations and Pastoral Care initiatives. In Week 1, Term 3 parents, students and teachers participate in three way conversations. This is an opportunity for students to discuss their goals that are set at the beginning of the year. Parents are able to visit the classrooms and look at the child's work, discuss the progress of their child's goals and be informed by the teacher of their child's academic and social progress. Teachers are able to offer the students possible ways to achieve their goals or suggestions for new goals, according to their progress. Each student receives at Interim Report at the end of Term 1. This is a report of the student’s study habits, behaviour and social skills. Parents or teachers may request an interview at this time. At the end of Semester 1, Term 2 and Semester 2, Term 4, each student receives a Semester Report. This is a detailed assessment of the student’s achievements across the seven Key Learning Areas. Parents and teachers may request an interview at this time.